Exterior & Interior Residential Painting Experts for 32+ Years! Horizon Painting, Inc. is a local, owner-operated company with over 34 years of experience in residential house painting. We welcome both interior and exterior painting projects of all sizes, always working with precision and craftsmanship to deliver an immaculate finished product. We’re also able to fix drywall, repair stucco, pressure wash and more. Contact us today for a free estimate! A fresh coat of paint goes a long way in improving the look and feel of a home. Whether it’s a crisp, new color for your interior that makes the space feel bigger or a touchup to your exterior trim that restores its curb appeal, paint can work wonders! If you’re planning on rejuvenating your home or making a change, make sure you’re working with a professional painting company in Park City, UT. At Horizon Painting, Inc., we have the experience to provide you with the results you want, painted to perfection in whatever color you desire. Our brushwork is unmatched, our attention to detail is uncompromising and our dedication to excellence is evident in our work. While other painting contractors in Park City, UT might show up and slap on a fresh coat of paint, we take the time to make sure you’re getting the best possible results for your money. This includes pressure washing exterior surface clean, repairing drywall and stucco, and various other prep work tasks. By putting in the work upfront, we guarantee a better-quality paint job. We even use top-of-the-line paints from Sherwin Williams and Benjamin Moore & Co. to make sure every coat is applied to perfection. Let us paint your home and show you just how transformative a good coat of paint can be! 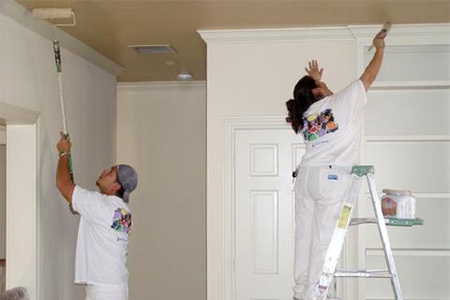 We have more than three decades of professional painting experience. All of our work comes with a 5-year warranty. We stand by our work! Need a quick touch-up? We provide free touch-ups on everything we paint. 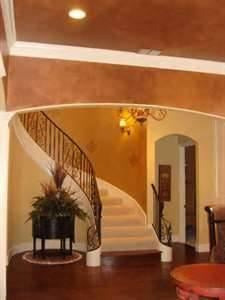 We use only the highest quality paint products for stunning results. We’re fully licensed, so you get the peace of mind of working with professionals.